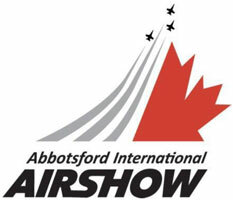 The Abbotsford International Airshow, now in its 54th year, is Canada’s National Airshow and has been named one of the Top Ten Airshows in the World (USA Today 2013). Held annually on the second full weekend of August at CYXX, the Airshow showcases a mix of RCAF & foreign military aircraft, vintage aircraft and warbirds and civilian aerobatic and formation performers in front of 75,000+ patrons. At Bakerview Aviation we are a Transport Canada Civil Aviation approved maintenance organization capable of repair and maintenance of all piston powered (single and multi-engine) light aircraft and light piston and turbine helicopters. We also can perform ELT installations, testing, repairs and battery replacement. We perform pitot/static altimeter encoder testing and avionics troubleshooting and repairs onboard. Coastal Pacific Aviation Ltd. started operations in 1973 with one Cessna 172. Today CPA operates a fleet of sixteen C-172s, three PA-30s, six FTDs, one 747 simulator, one King Air simulator and our newest addition; a Cessna 185 on amphibious floats. Currently, 15 instructors are training approximately 150 students. With 12 million aircraft movements annually, NAV Canada is the second largest Air Navigation Service world-wide by traffic volume NAV CANADA manages 18 million square kilometers of domestic airspace and international airspace assigned to Canadian control Employees deliver safe, efficient and cost-effective air navigation services 24 hours a day, 365 days a year. Based out of beautiful Abbotsford, British Columbia, Sequoia Helicopters provides specialized charter flight services to a variety of clients in both the government and private sectors.